If you're struggling in your marriage, you are not alone. One in two marriages will end in divorce. This was where my marriage was heading a few years after I got married, until I put the principles of this book into practice. Whatever you are feeling right now, I can promise you one thing. If you ever truly loved your partner, then what you will learn and put into practice will help save your marriage. 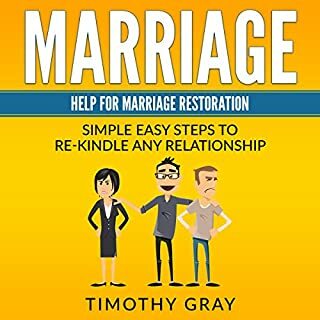 There is no marriage that's beyond saving, and this book will help you save your marriage. Enjoyed the marriage book, like sitting in marriage counseling getting fed the important info. couples need to be reminded of.